I do not really reblog ever but this is just amazing to me. The level of craftmanship from man so young. I glance at the picture: it’s a neatly finished Anarchist’s Tool chest painted in de rigeur Bible black with all the trimmings. Nice. Nonchalantly, he shows me another pic’ of the interior: Equally good. Bang tidy in fact. I’m beginning to think these are shots of Chris Schwarz’ own chest but empty of tools. Even the hinges are clocked North-South which really does make me think this is the Schwarzmeister’s own. 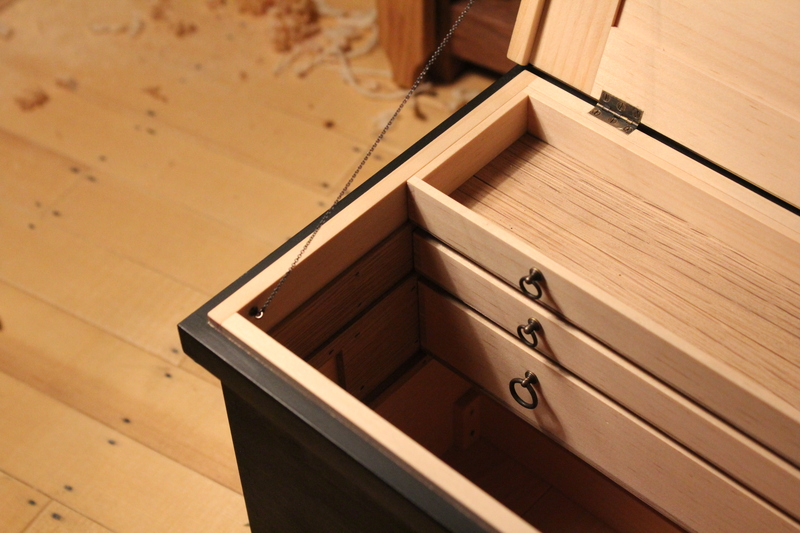 Then another: the chest next to a sweet Roubo bench. A nice, low tone shot of Chris’s shop I think. 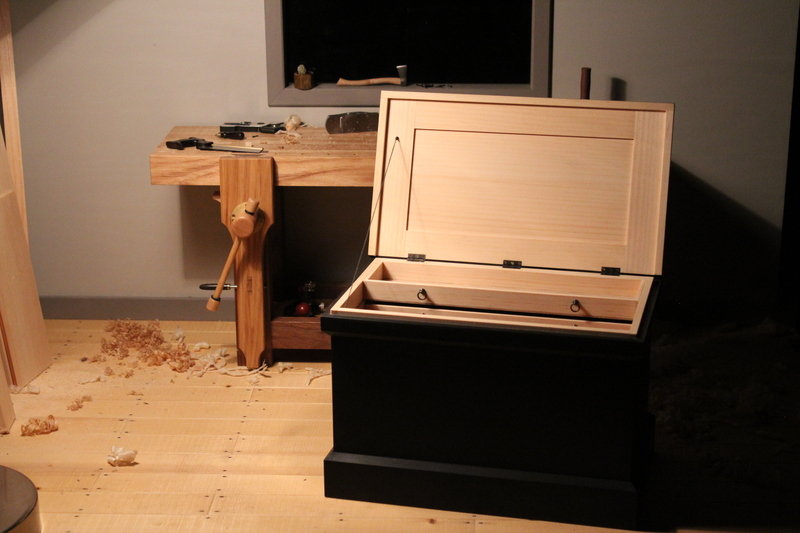 The bench has tools scattered on it and some shavings. Next Next post: Garage Sailed!